As companies reorganize and reengineer, people are finding themselves tossed into management every day with little to no training or preparation. 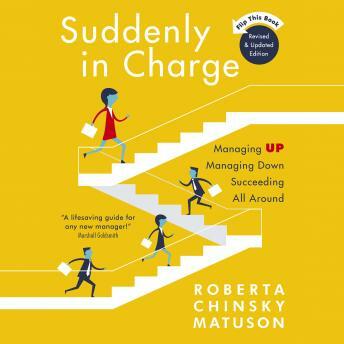 Literally two books in one, Suddenly in Charge provides all of the tools necessary to be successful at managing up and down the line of any organization. In addition to updates to all chapters, this revised and updated edition features 7 new chapters aligned to modern approaches to management. New topics include: executive presence, working with a coach or mentor, employee retention, creating purpose, the multi-generational workforce and more.